There was a time when we suddenly “discovered” native plants and native gardens become the rage. Unfortunately many of us didn’t really understand that a native garden, while it may be a low maintenance garden is certainly not a no-maintenance garden and over time native gardens gained a reputation for being wild and ugly. The mistake however was on the part of the gardener, and not the wonderful native plants. 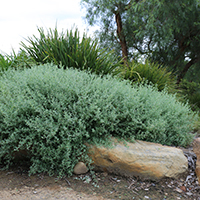 Using native plants in a garden does not have to mean creating a bushland garden (unless you want to of course). Native plants can be appreciated in any style of garden and with greater knowledge of the incredible diversity of native plants available to us, comes great diversity of options for them in our gardens, and even includes the option for a native turf in Nara™ Zoysia macrantha ‘MAC03’ PBR. There are of course many good reasons to grow natives in the garden. Attracting wildlife, especially birds, is a key reason. By growing native plants from our local area (known as indigenous plants) we will be providing a food source for local species. Native plants from other parts of Australia may also be providing food for wildlife but may not necessarily be the “best fit” for the local wildlife, so it is always a good idea if wildlife is your main reason for growing natives, to include as many local indigenous plants as possible. and plants with large green leaves for tropical gardens such as the large leaved Alocasia brisbanensis. The two most common mistakes made with native plants are lack of care or growing in the wrong part of the country. Native plants, like all other plants, need some care in the garden in order to not just survive but to thrive and look good. Some degree of watering, fertilising, pruning and pest control will go a long way to bringing out the best in your garden natives. When it comes to location, Australia is a very big place with very different climates and soils from one side to the other. 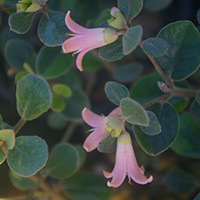 While many native plants are both tough and adaptable, many of the west coast natives in particular will struggle with the humidity on the warm temperate to tropical east coast. As always a few exceptions exist. One is the ‘Velvet Range’ of kangaroo paws which have been bred and trialed to ensure they perform well on the east coast. With choosing the right plants for your gardens, natives can certainly make for low maintenance gardens. Generally they will take the harsh climate extremes that come with being Australian, and will continue to live on if we neglect them – even if not at their best. Many natives are accustomed to drought and so tend to need less supplementary watering in a garden than do most exotics. Whilst this is a good generalisation, it is very important to check the labels when buying plants as this is not always the case. 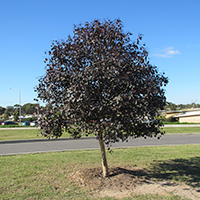 Many native rainforest trees for example make very beautiful small garden trees, even in places like Melbourne and Adelaide, but will need some supplementary watering in times of drought. In a garden we tend to expect more of plants then we do in the bush. We want them to be compact and shapely, and to have long flowering times. We want them to grow in places they wouldn’t normally and to have beautiful leaf colours and shapes. Modern plant breeding has been working on all of these traits and more, and continues to contribute enormously to the current success of many native species in gardens. Perfect examples of this are the Native Grasses, Lomandras and Dianellas. In their natural (species) form they are both beautiful and useful plants which are why they first attracted the attention of gardeners and landscapers alike. Plant breeding has since developed many cultivars with compact forms, variegated leaf colours in a variety of shades and a range of plants which are adapted to suit a very wide variety of climates and situations. 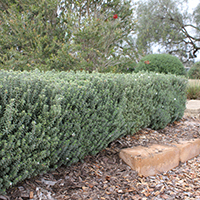 Grafting of grevilleas, eucalypts and other natives has provided us with plants that will tolerate a greater diversity of conditions in a garden. We now have gloriously flowering varieties which will grow in a wide range of soil types and climatic conditions. 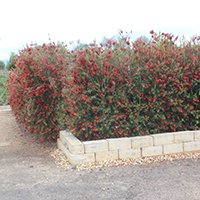 We now even have the first ever red foliage variety of compact Eucalypt – Vintage Red™ Eucalyptus cladocalyx ‘EUC78’ PBR! 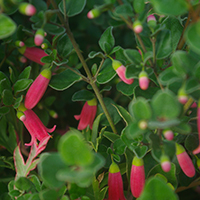 Many natives have been bred into wonderfully compact forms which are well suited to small gardens or for use as small hedges or even clipped balls in formal gardens. Lily pillies are not the only natives suitable for hedging. 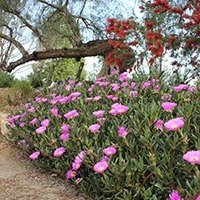 While many others are also suitable, new varieties of Callistemons such as Slim™ Callistemon viminalis ‘CV01’ PBR, which has a particularly narrow growth habit perfect for hedging, especially in narrow areas, and Westringias such as Ozbreed Aussie Box® Westringia hybrid ‘WES08’ PBR, which has been bred to be very compact and need little pruning to maintain a good hedge shape, are offering exciting and compact plants for use in formal gardens or any small garden. A garden full of wonderful native flowers and the wildlife that goes with it is now available not just to large gardens and bush style landscaping but to small gardens, median strips and public spaces. 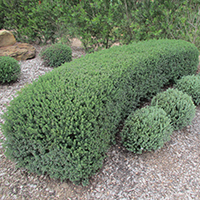 Many natives can also be used in container gardens and wall gardens very successfully. Whatever the situation or garden style, there will be an abundance of natives plants available which will add beauty and value to the garden. No Australian garden should be without at least one native plant.